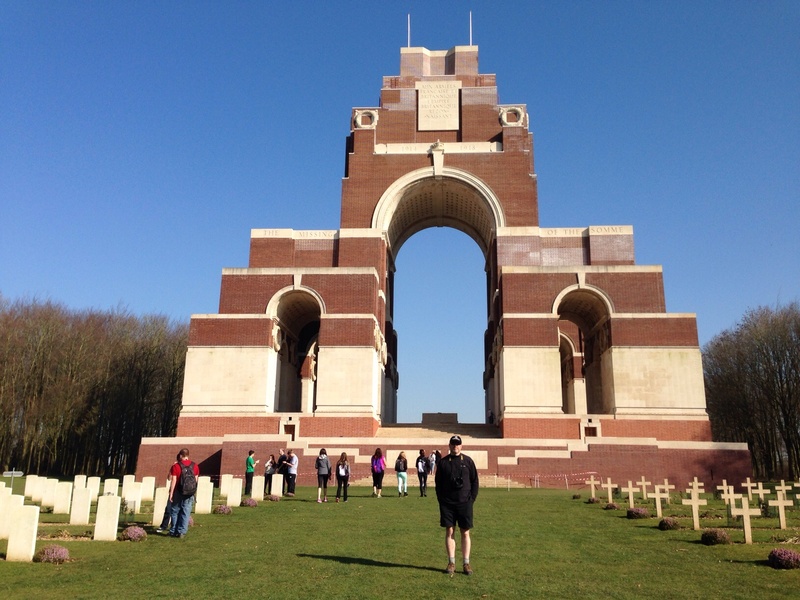 thiepval | Poverty, Agony, Distress & Want! So we stopped at a neat little memorial, called the Zivy Crater Memorial, which is a crater that was turned into a memorial to the Canadian artillery. It was neat to see this very interesting memorial, especially the design of it. Even better, the stop provided us an opportunity to do some “Norm Christie-ing.” I guess I should explain. Norm Christie is a Canadian historian that narrated a series of programs of the history of Canada’s wars (WWI-King & Empire, WWII-King & Country, Korea). In the documentaries, Christie often shows the battlefields and while he does that, he finds remains from the war. This includes shrapnel and shrapnel balls, bits of clothing, metal, etc. It is a neat part of the programs. When we were here in 2012, we jumped into a farmers field to look for objects and found some stuff. Today was no different. On the short little walk to the memorial, I found a shrapnel ball. We looked on the way back, and a St. Ignatius student found one too. Hopefully we’ll have more chances to do this again. Wow, that was awesome! What a great experience. I would certainly recommend this attraction to anyone; it was worth the 13 Euros to go in. We broke up into 3 groups to go in to the quarry and I led to first group in. We were given headsets to hear the commentary as well as helmet to protect our heads (especially from the dripping water). The elevator took us down 30 metres into the ground, which amazed me at the depth. The quarry was originally used from the 1400, but was abandoned by the beginning of the 1900’s. New Zealand miners dug new tunnels that linked the various quarries together. We had a guide that took us around in relatively pitch black, so I used the the video camera in the night shot mode. It gave everything that eery green glow. 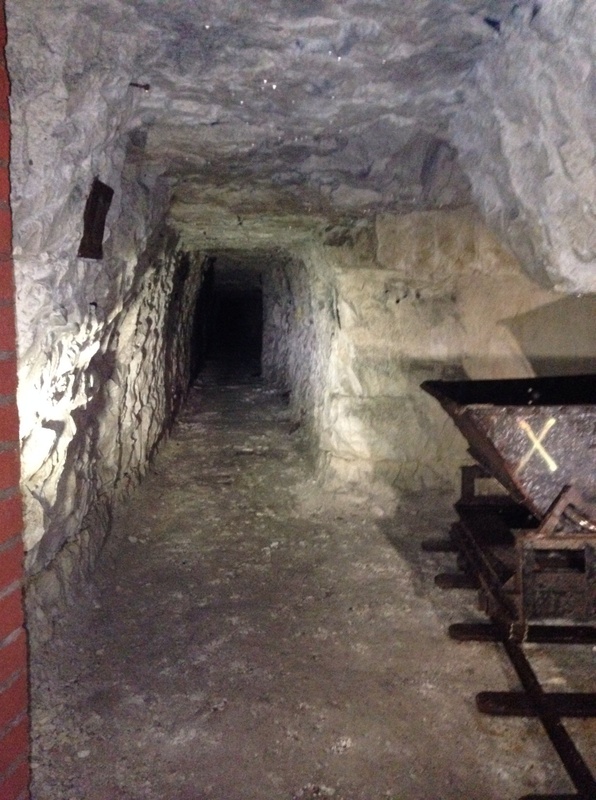 It was really amazing to see the work that had been done, and how thousands of soldiers had lived in damp cold for quite a while before the Battle of Arras opened on April 9, 1917. There were many artifacts on display that had been found in the tunnels. So we’ve left Arras and now are on our way to Pozieres, which is located near Albert. This is the site of the Somme battles of 1916. We are going to stop for lunch and then proceed to the Thiepval Memorial, which is a huge Commonwealth Memorial from the Somme. It was so warm that I zipped off the bottoms of my pants…yes, March 10th and I am in shorts and a t-shirt! We’re now in the city of Albert, having to come to pick up our guide for the afternoon. Lunch was at a great little place called “Le Tommy,” obviously referencing the term for a British soldier in WWI. Our meal was a huge ham, cheese, tomato and lettuce baguette…certainly not a low-carb meal! The restaurant is also part museum, and had a lot of memorabilia and information of the Australian troops who were in Pozieres in 1916. We’re on our way home now after a very productive day. It’s now getting dark and I think everyone is looking forward to dinner at the hotel. After yesterday’s very long day, I think the earlier end to the day will be very appreciated. After lunch we picked up our tour guide for the afternoon Lucien in Albert. We then proceeded back toward Pozieres to go to the Thiepval Memorial. I had seen pictures and video of the memorial before and knew it was very large, but nothing could prepare me for what I saw. Situated atop the Thiepval Ridge, the memorial is so large it dominates the surrounding area. It’s massive bulk contains the names of over 72,000 British soldiers who went missing during the Somme battles. A small British and French cemetery is located on the grounds as well. From Thiepval we drove a short ways down the road to the Beaumont Hamel Newfoundland Memorial. The land the memorial sits on belongs to Canada, so it is manned by young Canadians under the direction of Parks Canada. It is a very beautifully preserved battlefield, complete with trenches and shell craters. It really gives one a sense of what trench warfare was like. 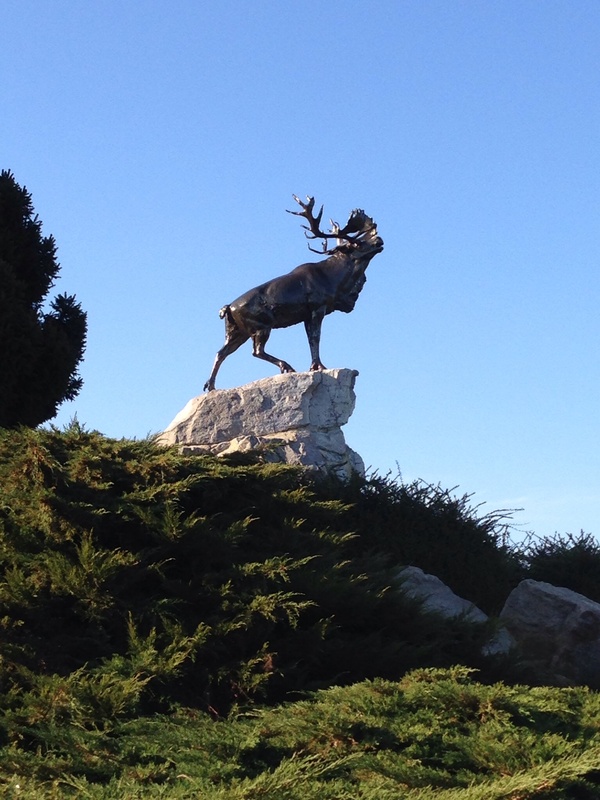 The centrepiece of the park is the statute of the caribou, which is the symbol of the (Royal) Newfoundland Regiment. If you’re not familiar with the story of what happened, the regiment went over the top on the opening day of the Battle of the Somme on July 1, 1916. Within twenty minutes they had been annihilated, suffering some 90% casualties, a tragedy that affected nearly every family on the island. 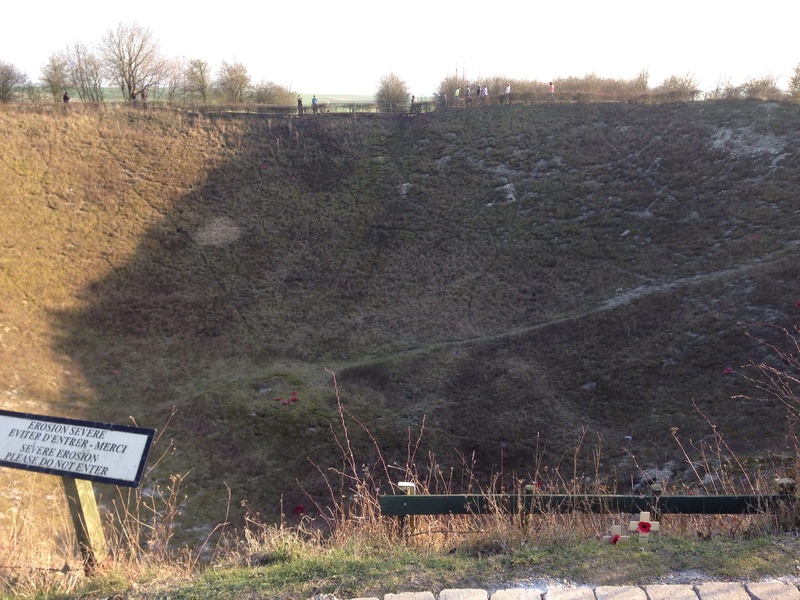 Just down the road is another WWI site, which is the Lochnagar Crater. It was formed when the British detonated an underground mine packed with 60,000 pounds of ammonal, which formed a crater nearly 100 metres across and 30 metres deep. It was neat to see and gave us more time to do more “digging” for artifacts. We returned to Albert to drop off Julien and thank him for his time. Our next stop was a little farther away in Cambrai. Felicity knew a local man who is a very passionate amateur WWI historian. 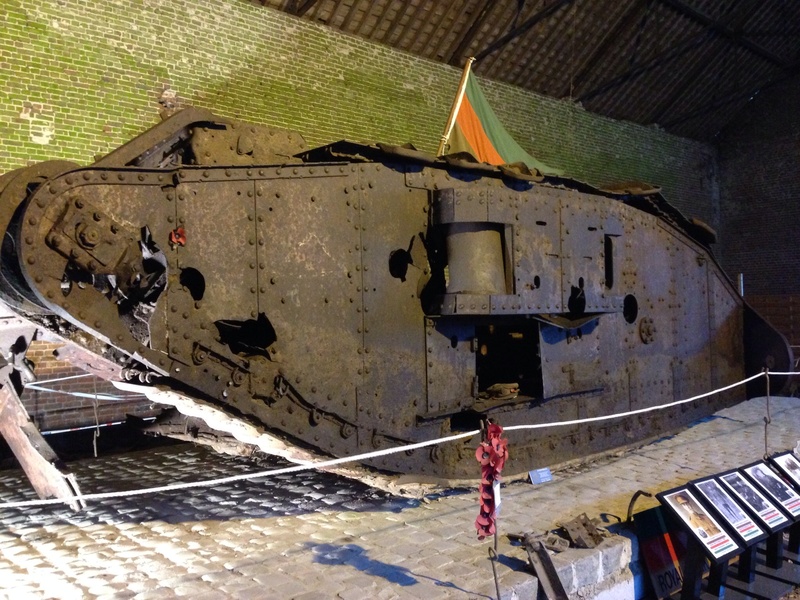 In 1998, after 6 years of research, he unearthed a nearly intact British tank that dated from the Battle of Cambrai in November 1917. The tank, “Deborah,” was destroyed in action and resulted in the deaths of 5 of her 8 man crew. It was very interesting to see something like that so up close and Philip was such a knowledgeable and enthusiastic speaker. So tomorrow is going to be one of the most important days on the tour. In the morning we will be travelling to Vimy Ridge, which is one of our most revered foreign monuments. This time we will have time to take in the tunnels and spend more time on the monument. In the afternoon we’ll make our way to Dieppe and then on to Normandy.